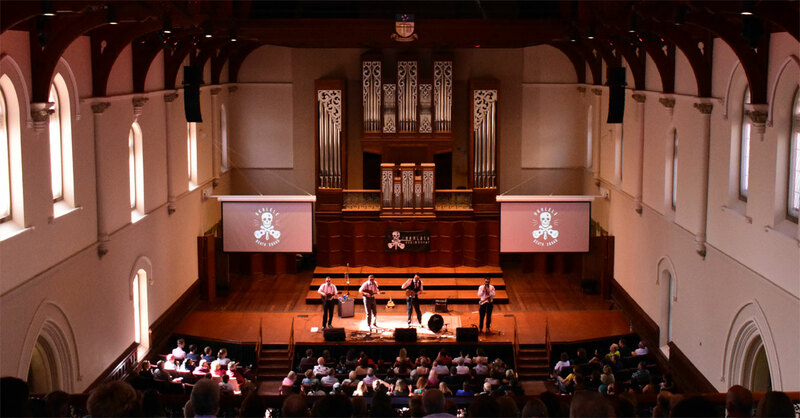 The Ukulele Death Squad in concert at Elder Hall, Adelaide, today, performed a miracle of the heart. At once, the music was part folk, part rock, with a twist of gypsy and a shot of jazz, as they treated the audience to an experience of the intense joy that flows when you play music for its own sake. I realised, just a few songs into the concert, that I was listening with my whole body. My face had a smile plastered across it for the best part of an hour, as every cell within me craned forward to become immersed in the percussive strings and emotionally-charged sax. While being right at the rear of Elder Hall meant many of the lyrics were lost, it didn’t matter one iota because the “music of the voices” was all that was needed to bring us along for the journey. In fact, the sublime waves of music and voice created by Ukulele Death Squad, rose above the need for “accurate” listening. This was not a concert for perceiving lyrics and music as separate parts of a performance. This was a communion of elements. All the parts and all of us were drawn together by none other than the ethereal spirit of Music itself. I’m floundering as I write this because I cannot find the words to accurately convey the bliss that pulsed through my being as the set progressed. 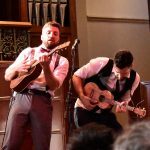 Up front and centre were Julian Ferguson and Ben Roberts, duelling egos as they pouted and pranced proudly, madly playing their hearts out as baritone and lead uke players, respectively. The skill with which they play together with such precision and pace is a testament to their dedication and the hallmark of those who have found their calling. Eamon Bourke holds his own as the bass ukulele player, letting his voice shine mid-set by performing a hauntingly beautiful Irish ballad acapella. Rueben Legge is the dark horse; the saxophonist among the ukes. His strident solos and ever present accompaniment added the depth that transformed a potentially fun, intriguing, and novel ukulele performance into a hearty, sweaty, memory-searing extravaganza. The only distraction in the performance was the appearance of dancers for a couple of songs. While the dancers were great, the integration on stage was not ideal because their positioning led to our attention being divided. There must be a way to reimagine this aspect of the performance. 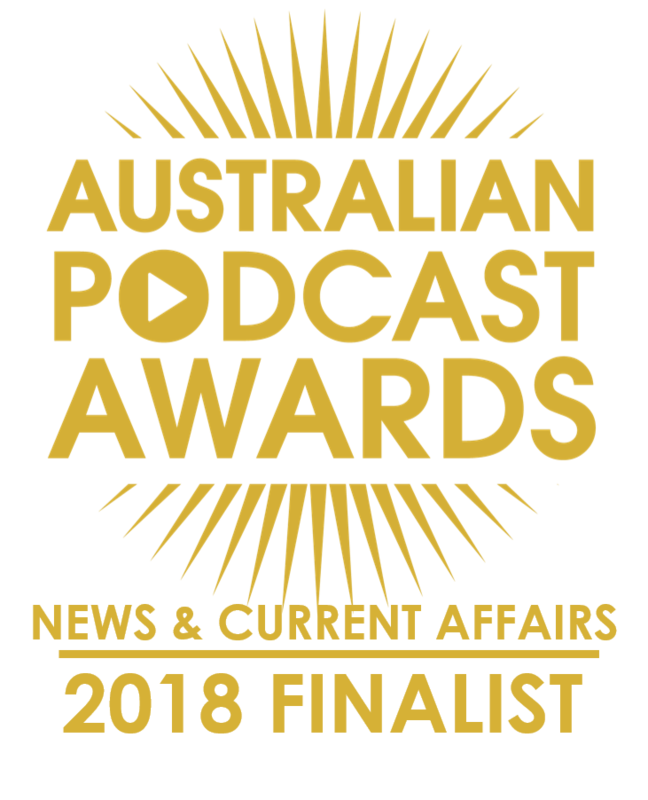 Be sure to see these guys when they’re live but to particularly keep your eyes out for their Nick Cave show, scheduled for the Adelaide Fringe 2019. Ashlee Randell from The Coconut Kids joined the band on stage to perform Henry Lee with Ben, and it was a very classy rendition (and that’s based on the opinion of this writer, who is a very fussy Nick Cave fan). So, the big tip is that size DOES matter. When you want ecstasy and joy in concert, seek out the guys with little instruments, big hands, and what appears to be camaraderie by the bucket load. You can hear our interview with the band here: 263 Ukulele Death Squad.